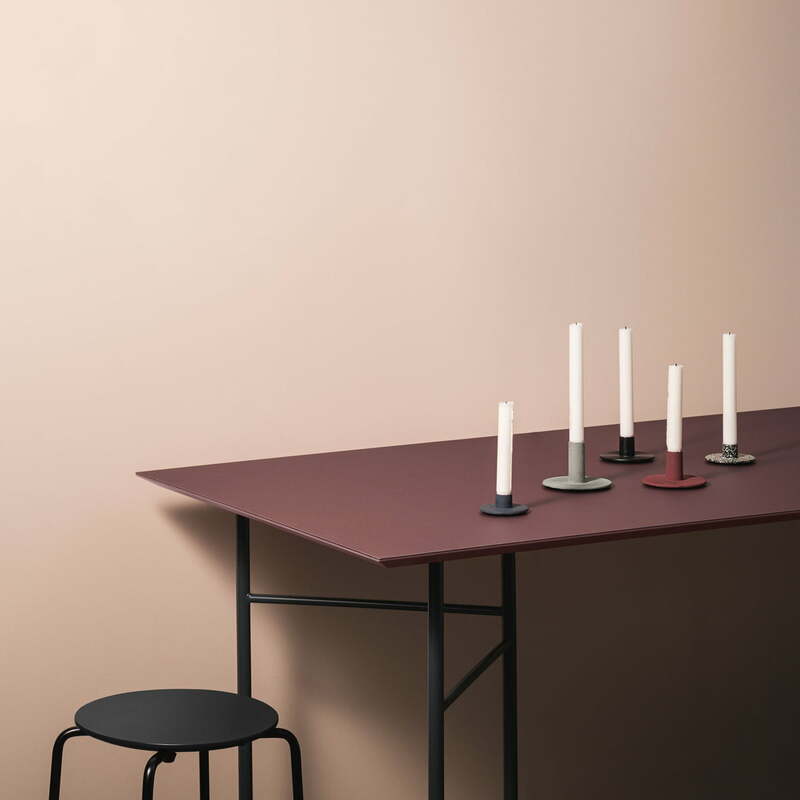 The Mingle tabletop from ferm Living, which plays with colours, contrasts and textures in an elegant and modern way, is a great choice for the Mingle table stands from ferm Living. 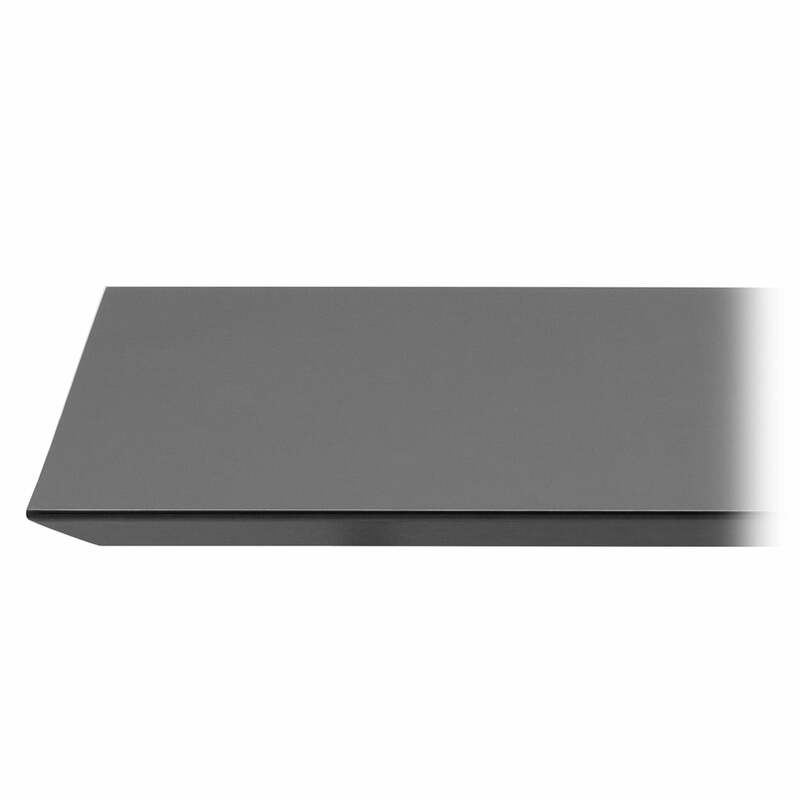 The tabletop consists of a core of MDF and a linoleum coating, making it particularly robust and easy to clean. In the black version, the coating consists of oak veneer. 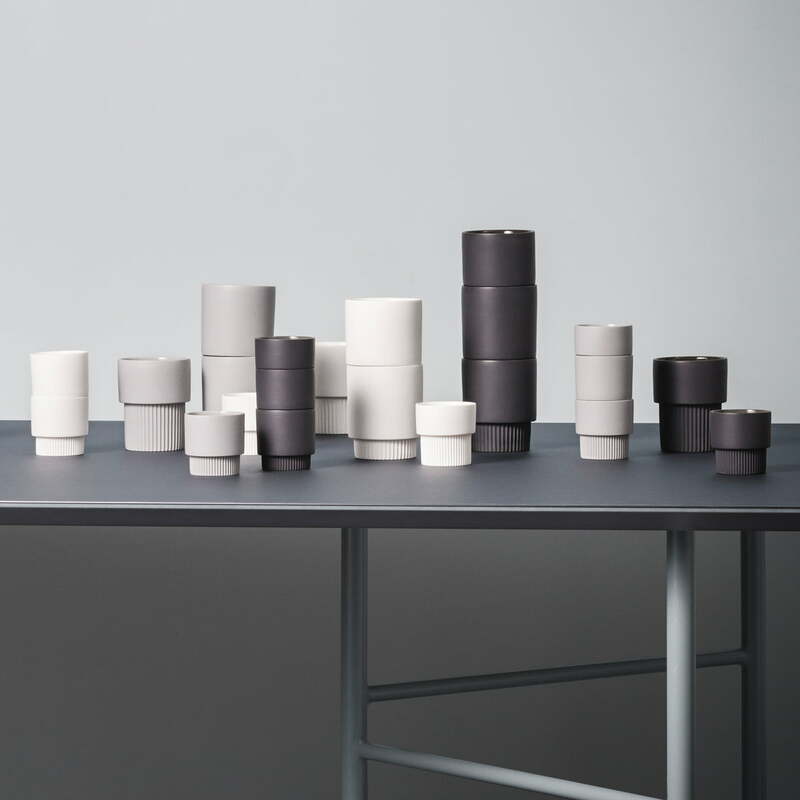 The tabletop can be combined with the matching tresle from ferm Living's Mingle series or with a base frame as required. In various combinations, a table can be put together according to your own ideas and its base can be easily changed if you wish. 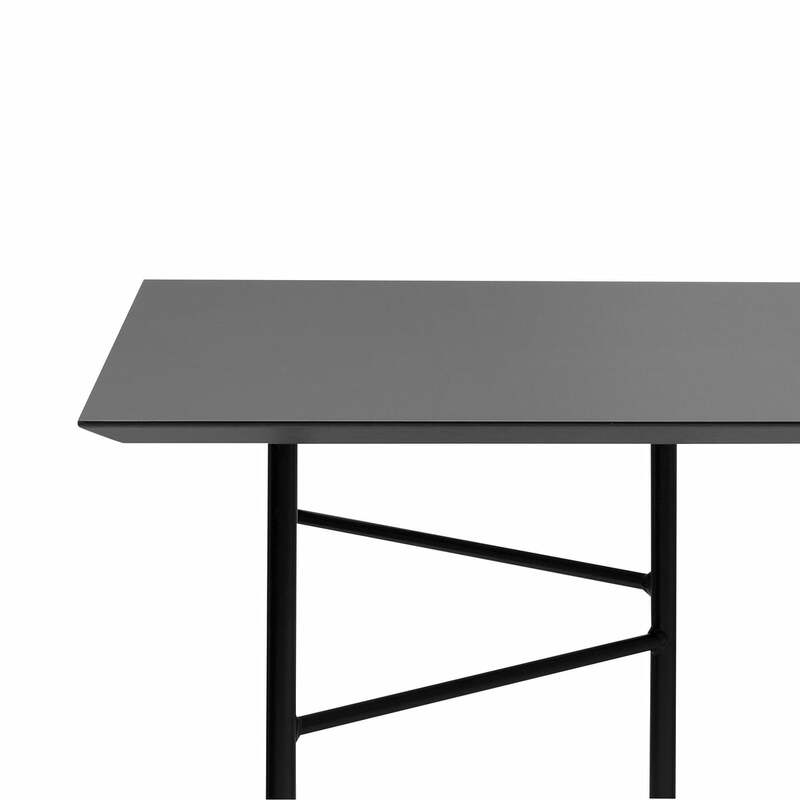 Single image of the shapely Mingle Table Top linoleum by ferm Living in black. The table top consists of a plywood core and a linoleum coating so that the table top is particularly robust and easy to care for. 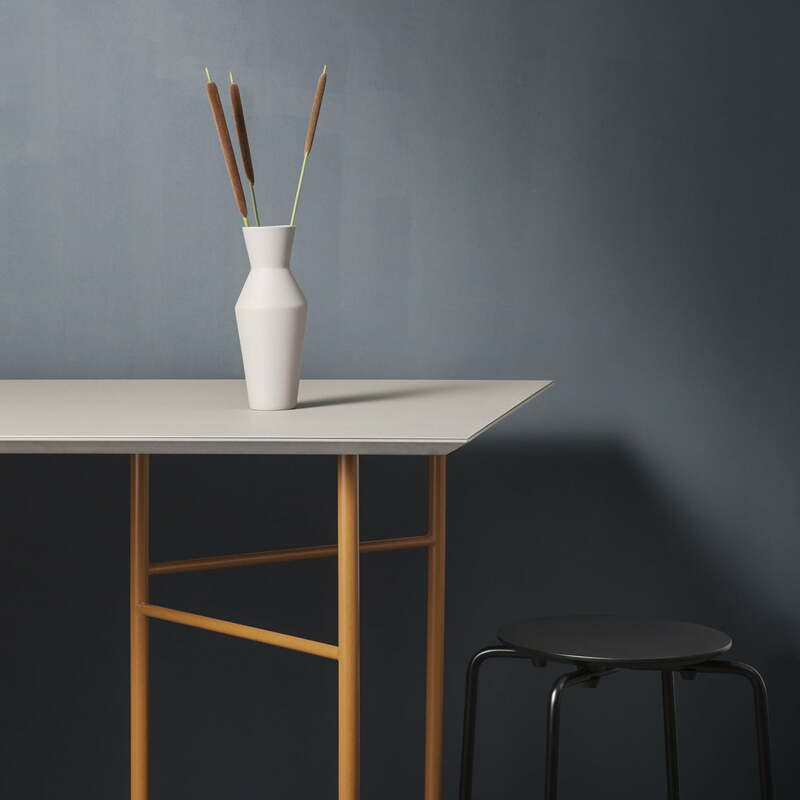 The shapely Mingle Table Top by ferm Living, playing in an elegant and modern way with colours, contrasts and textures, is coated with hard-wearing linoleum. Combining the table plate with the trestle in carefully selected colours, the table becomes a modern dining table or desk with perfectly balanced proportions. 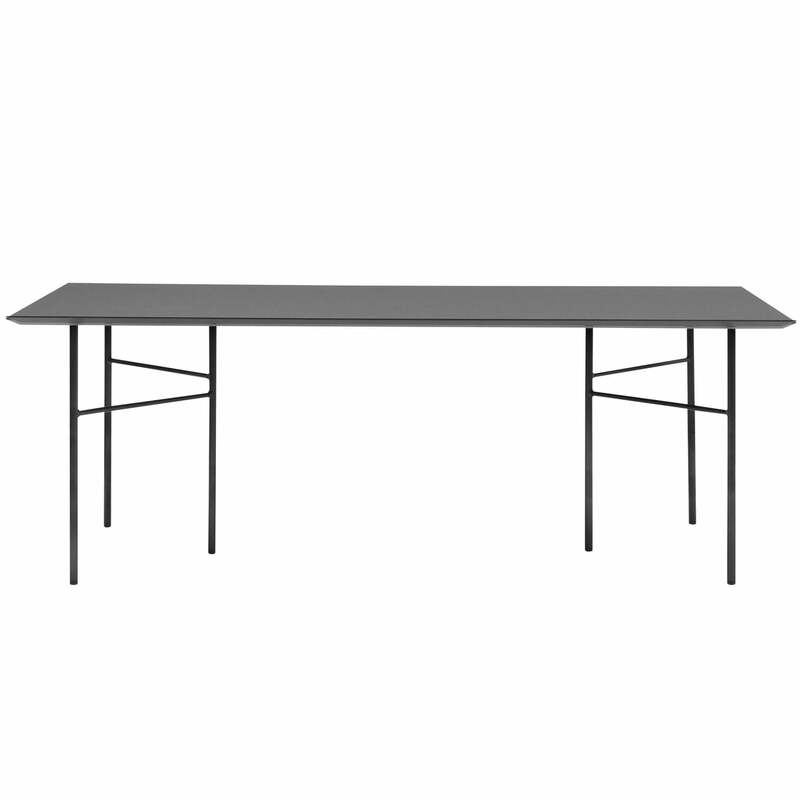 Single image of the shapely Mingle Table Top linoleum and the Mingle Trestle by ferm Living. The table top consists of a plywood core and a coating of linoleum. 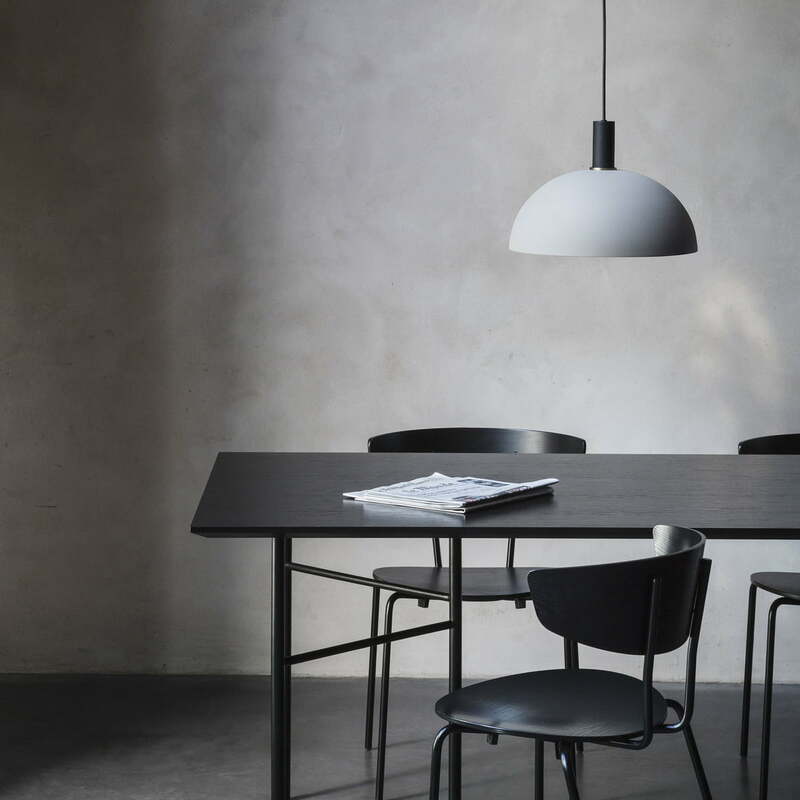 The Dome Shade by ferm Living is a classic curvy lampshade, which is perfectly suitable as a main light source for dinner at the Mingle Table Top on the Mingle Trestle. 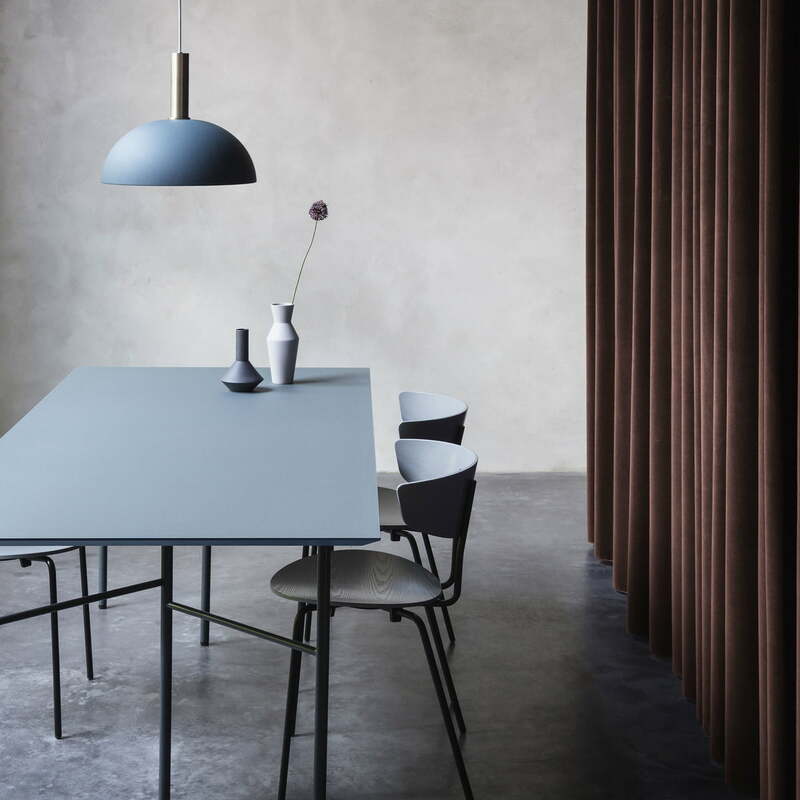 The Sculpt vases Corset and Pod do well on the Mingle tabletop, which lies on the Mingle table base and which is illuminated by the Dome Shade lampshade by ferm Living. Ambience image of the ferm Living - Cone Shade lampshade. Above the desk, the shade is suited particularly well, since it directs the light in a bundle. 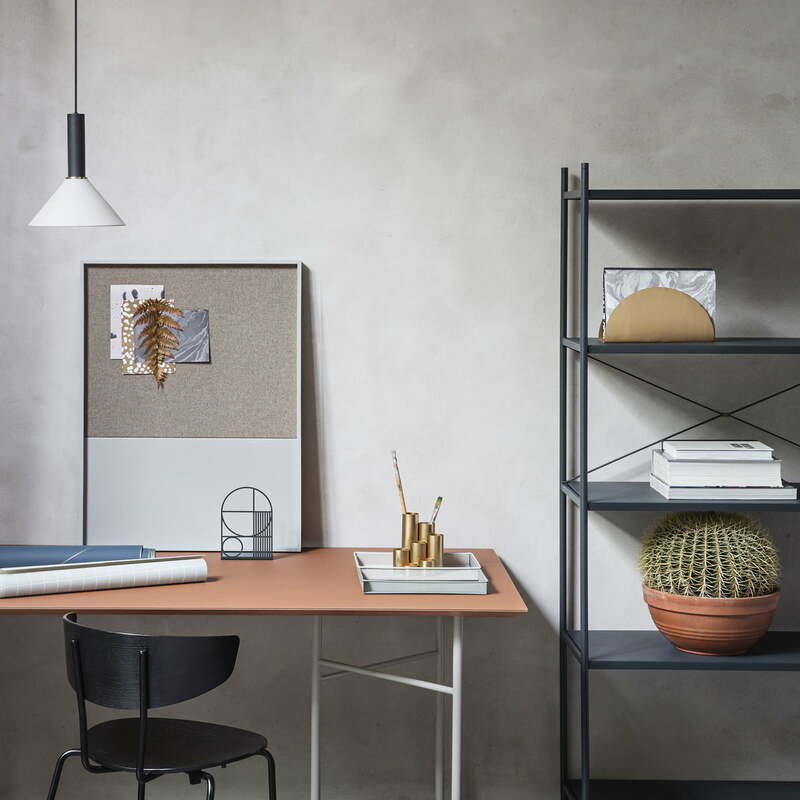 The Sculpt Vase Corset by ferm Living is doing very well on the table combination consisting of the Mingle Trestle in Curry and the Mingle Table Top made of linoleum. The clean lines and the attractive range of colors of the mingle table top, the base and the cast iron candle holders are the perfect choice for the home and the dining room. Lifestyle product image of the ferm Living - Mingle table. The elegant and modern Mingle Table from ferm Living is ideal as a stylish desk on which to work.